EDITORIAL: Levee access in RGV denied, but why now? For many in the Rio Grande Valley, a run or stroll on our area levees and irrigation canal roads in the dawn or dusk is a tried and true form of recreation. It’s the basis for family walks and talks, and for some a space where one can unwind from a day at work, or gear up for another. But it appears we’ll have to be doing our outdoor thinking elsewhere from now on because several law enforcement agencies joined representatives from the International Boundary and Water Commission at a news conference on Tuesday morning to say these areas have “always” been off-limits to pedestrians, cyclists and motorists and enforcement will be stepped up and trespassers will be stopped, and possibly cited if found encroaching there. It’s curious timing that these relatively peaceful, dirt-laden roadways are now the focus of multiple federal, local and even international agencies. The IBWC does certify levees. But the agency primarily is charged with ensuring Mexico pays its water debt to the United States and visa versa. Making sure that runners, strollers and tricycles aren’t on the trails has never really been an emphasis of the El Paso-based organization — nor should it be. So why hold a news conference now to warn residents in Hidalgo, Cameron and Willacy counties to stay off the levees and irrigation canal roads? 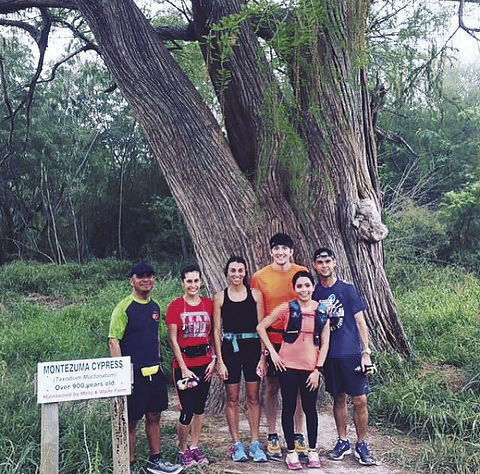 Ben Martinez, left, is shown recently with a group of RGV runners standing in front of the 900-year-old Montezuma Cypress tree located about three miles from Bentsen State Park in the City of Abram. The historic tree is accessible only by the levee, which law enforcement this week announced is off limits to pedestrians, bicyclists and motorists. It suggests that federal and local officials are posturing and positioning themselves (literally) on the levees, which according to a map obtained by The Monitor last week, are the very locations where the Trump Administration wants to build a border wall adjacent to the Rio Grande. Making the area off-limits now signals that these areas could very well be the location of a future border wall in South Texas. 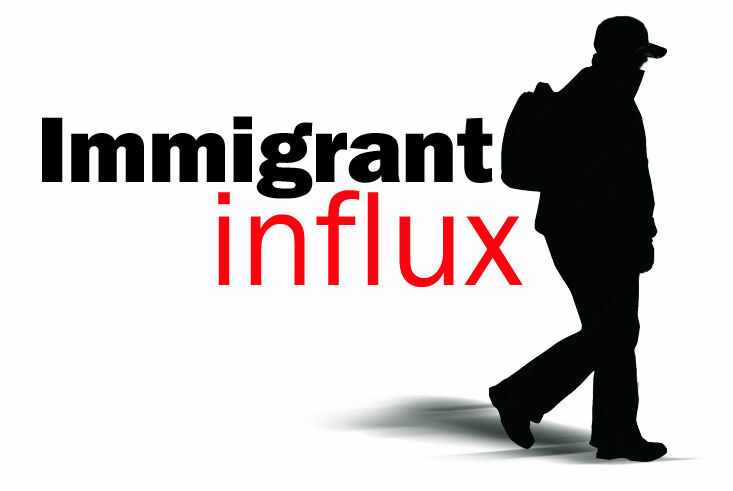 We understand these areas have always been legally restricted. But they have never been patrolled. Nor have they had gates or access blocked. Except for the levees on the Rio Grande, where Texas National Guardsmen, Department of Public Safety troopers and U.S. Border Patrol are frequently stationed, the other levees and irrigation canal areas have largely become free space where many get out and enjoy the great outdoors. Of course we don’t want people to pollute these areas and we appreciate law enforcement fining anyone who dumps trash. But we disagree with the notion that we are suddenly “trespassing” on these lands, which are maintained with taxpayer-funds and have become a part of our culture. And the idea that freshly painted red gates need to be put up to block access to keep people from “swimming” in canals, as IBWC spokeswoman Lori Kuczmanski said, seems like a stretch. Good luck policing areas where there are ranches, businesses and trailer parks. Will there be checkpoints and will we have to show ID to visit family or friends? Will we no longer be able to visit the 900-year-old Montezuma Cypress tree, accessible only via the levee, located about three miles from Bentsen State Park in the City of Abram?